These are the first of many styles. Keep watching the site! 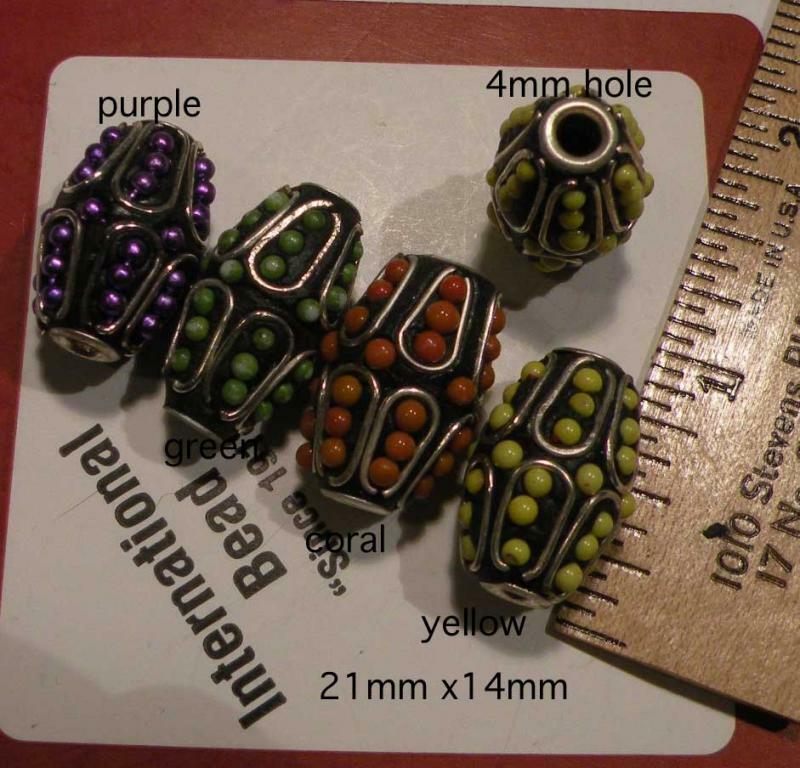 Painted clay beads, assorted sizes, assorted colors - all mixed with a wooden spoon. The photo shows a typical bag of ½ pound. 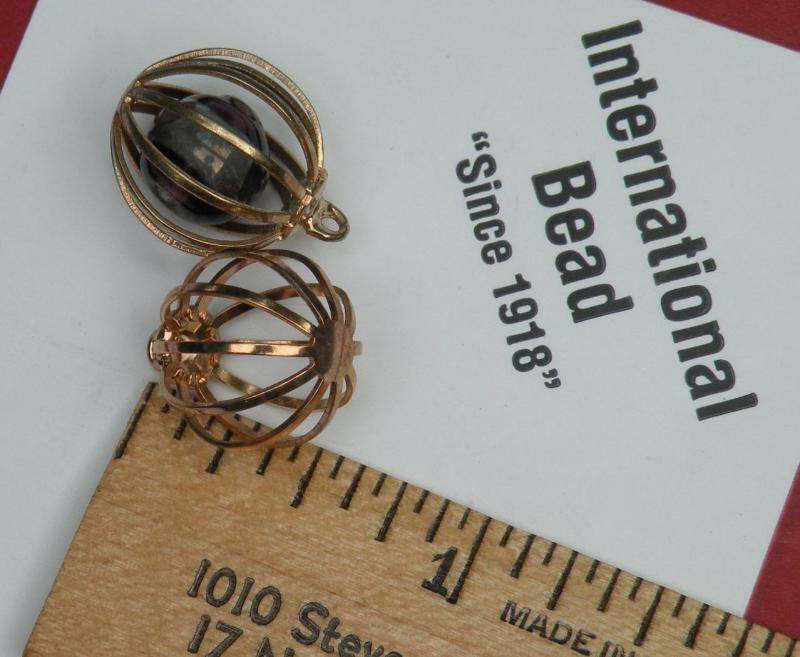 The large black oval with pink dots is 1 ¼ inches long, the bronze small one is almost ¾ inches long. 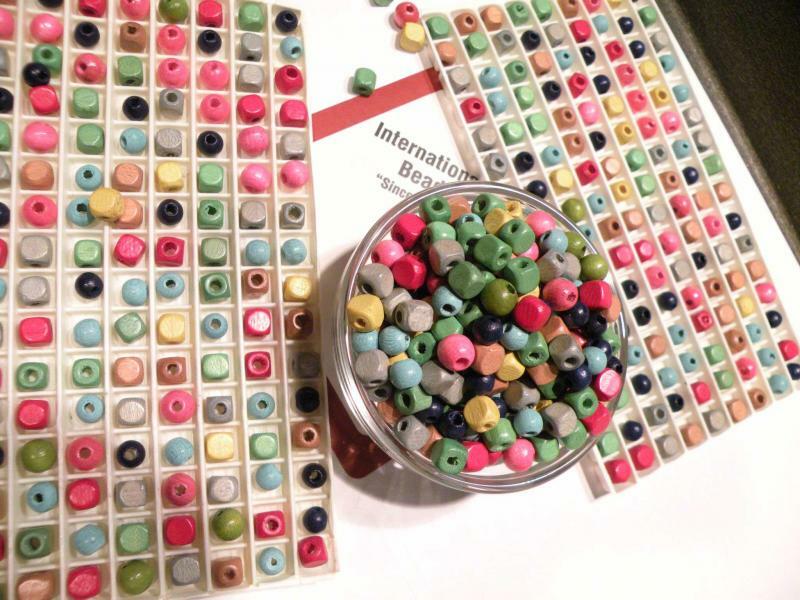 I counted 66 beads, but each bag will be different, taken from the same master mix. ½ pound is $6 plus shipping. Email to order or for any questions. 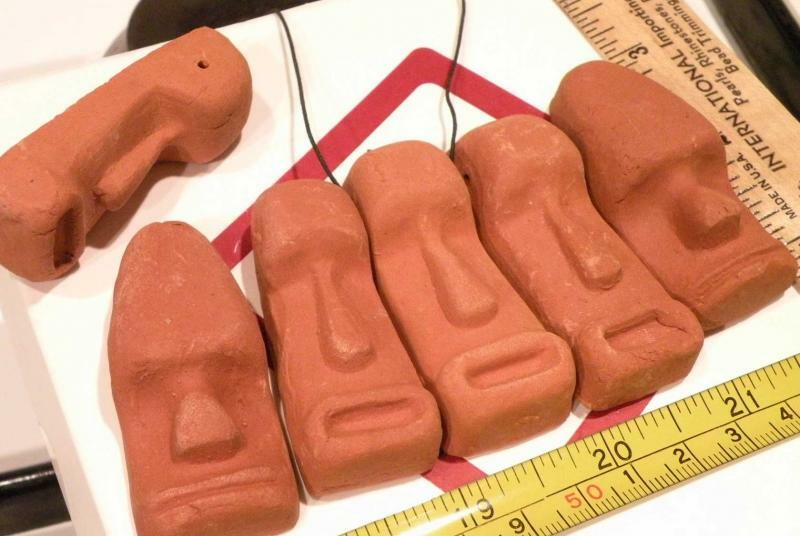 Clay Heads 2 inches long 1 inch wide, and ½ inch thick. There are 2 distinct styles. Each one weighs almost an ounce. String them, paint them, glue them onto something. Glue something on to them. 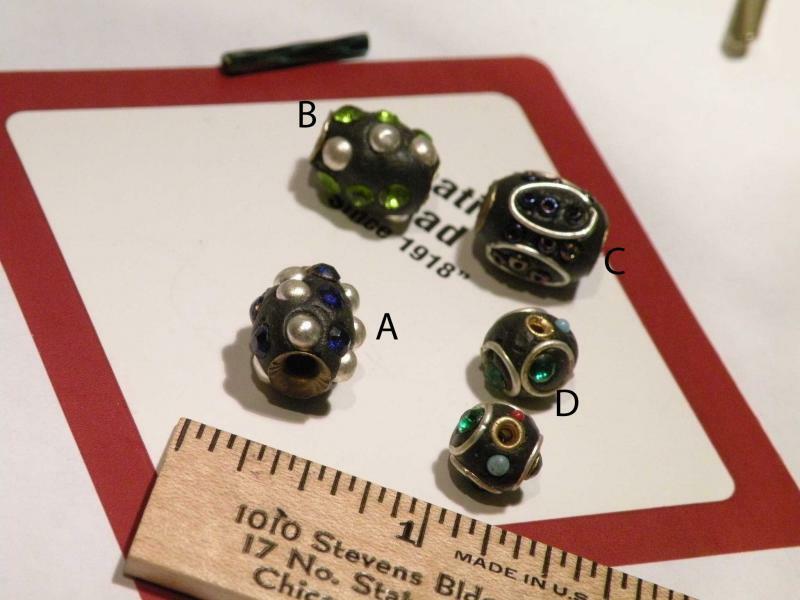 12 pieces, 6 of each type $6 plus shipping email to order. 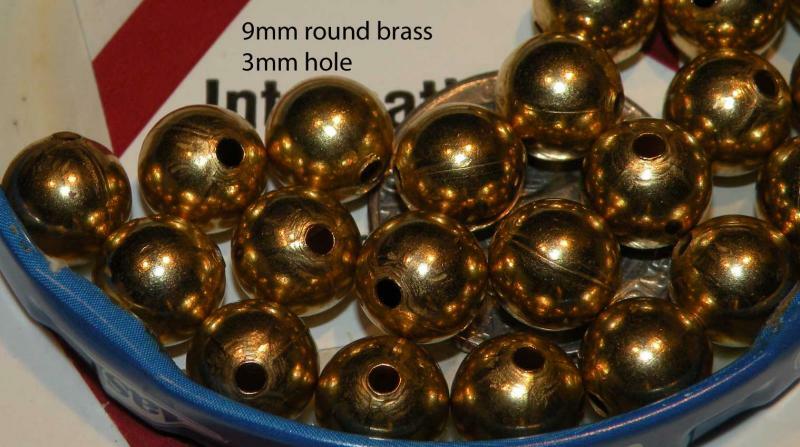 Raw Brass Discs, 8mm around with a small center hole. 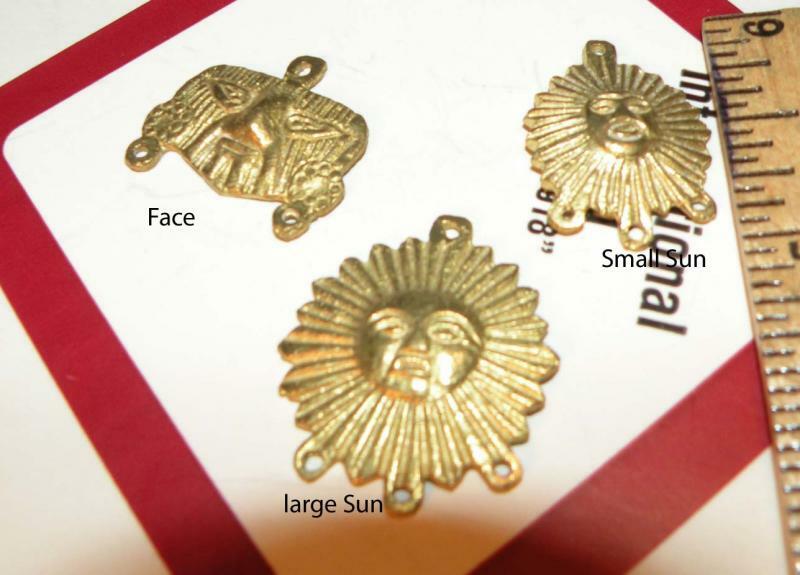 (smaller than it looks in the photo) Solid Brass, 100 pieces weighs 1 1/3 ounces. 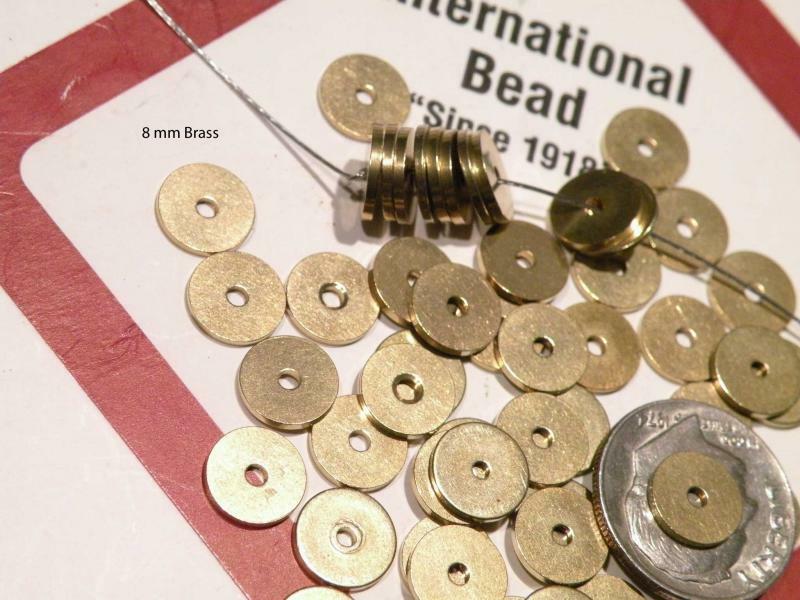 Strings to more than 3 ½ inches $3.00 per 100 pieces. 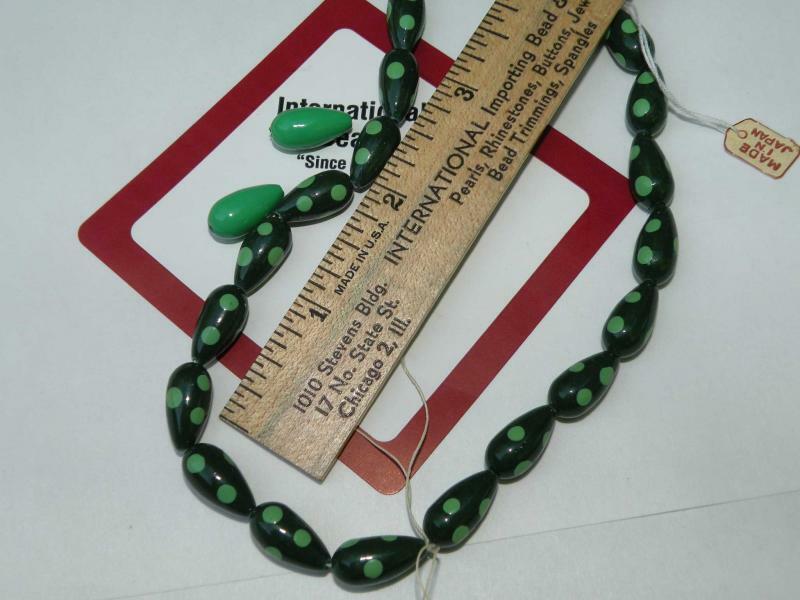 More lac beads A B and C are 13mm Oval shape D is 10mm round. order by letter. 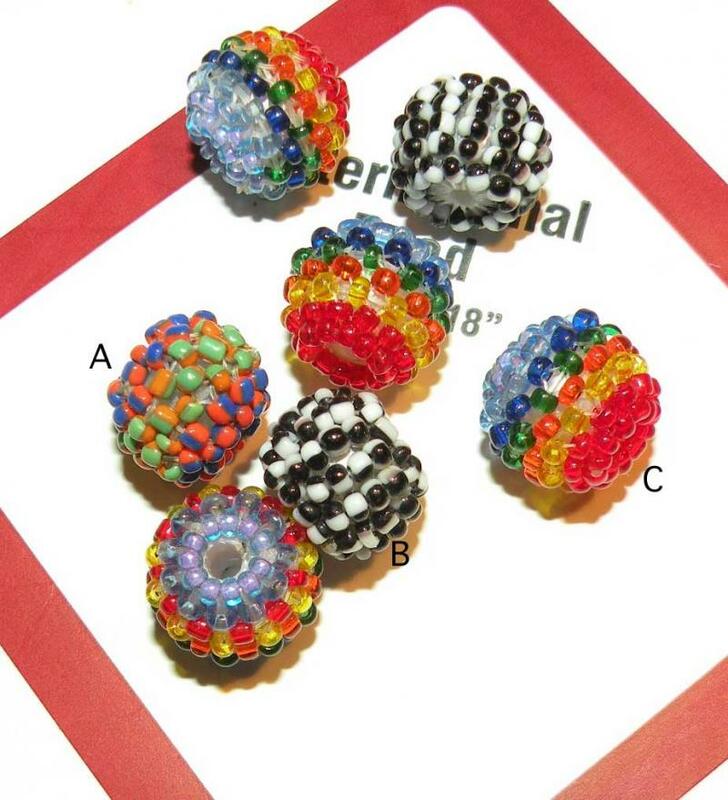 each style is $3 per 15 pieces in a bag. Beaded beads , 14mm beads covered in beads. 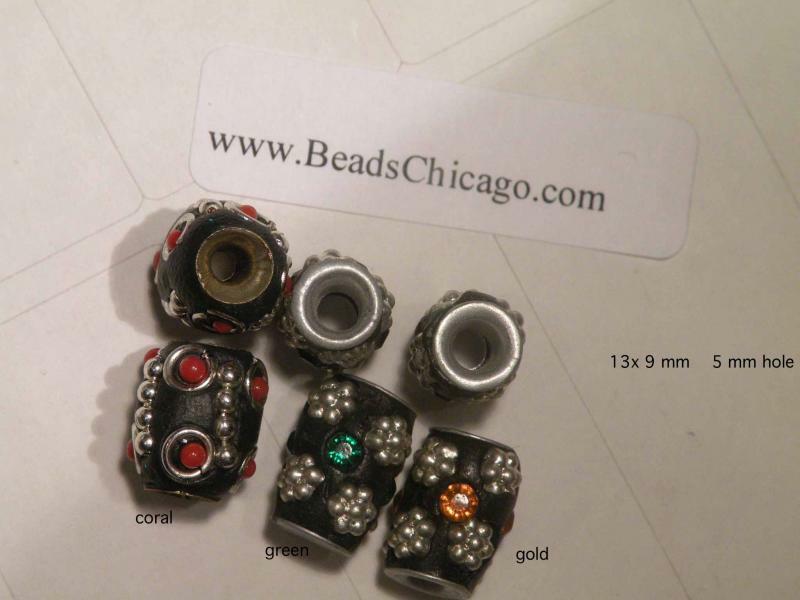 $3 per dozen beads of a color order by the letter. 100 assorted is $20 email to order. 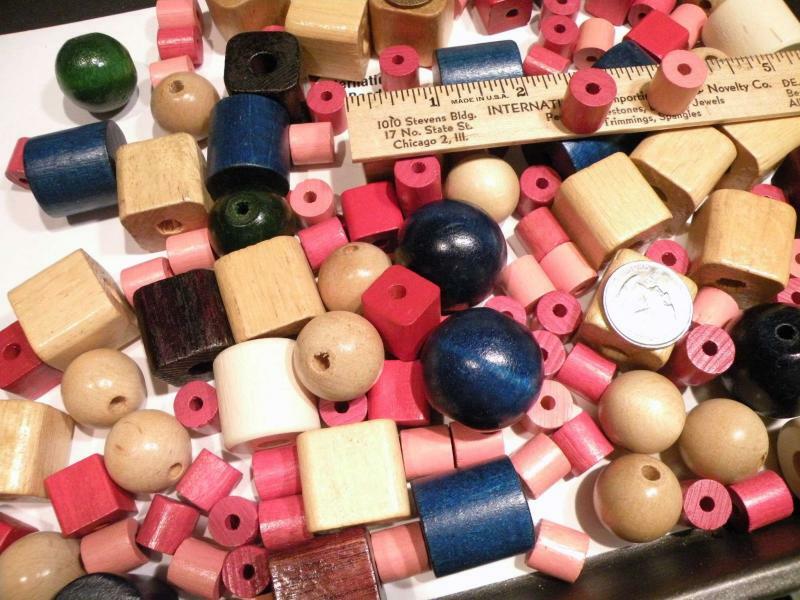 Large Wooden Beads. These are solid and sincere wood, made in USA circa 1968. Assorted Shapes and Colors. The photo shows a typical one pound bag. at least 140 pieces The pink squares are bright red. 1 pound is $6 plus shipping. 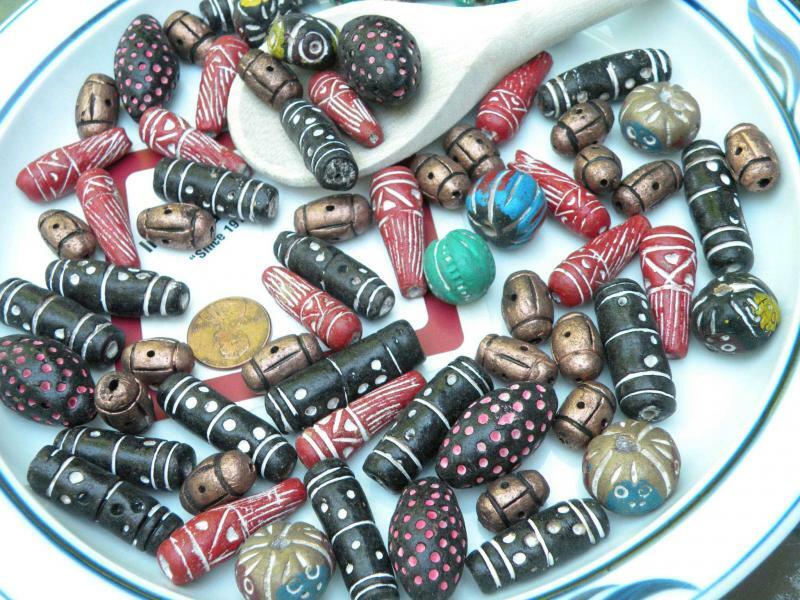 Small Czech Wooden Beads assorted colors, two shapes and sizes. 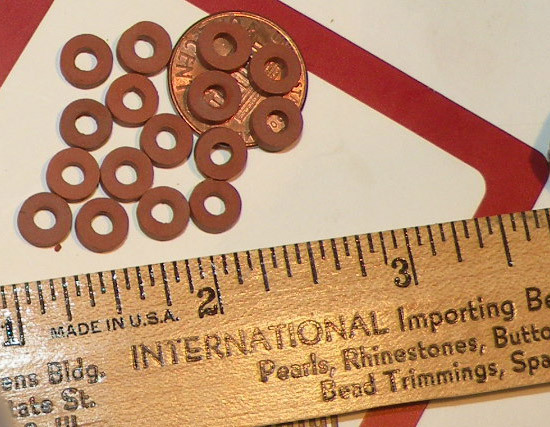 5 and 6 mm round and rounded squares. Made in Czechoslovakia more than 300 in a bag of 20 grams. 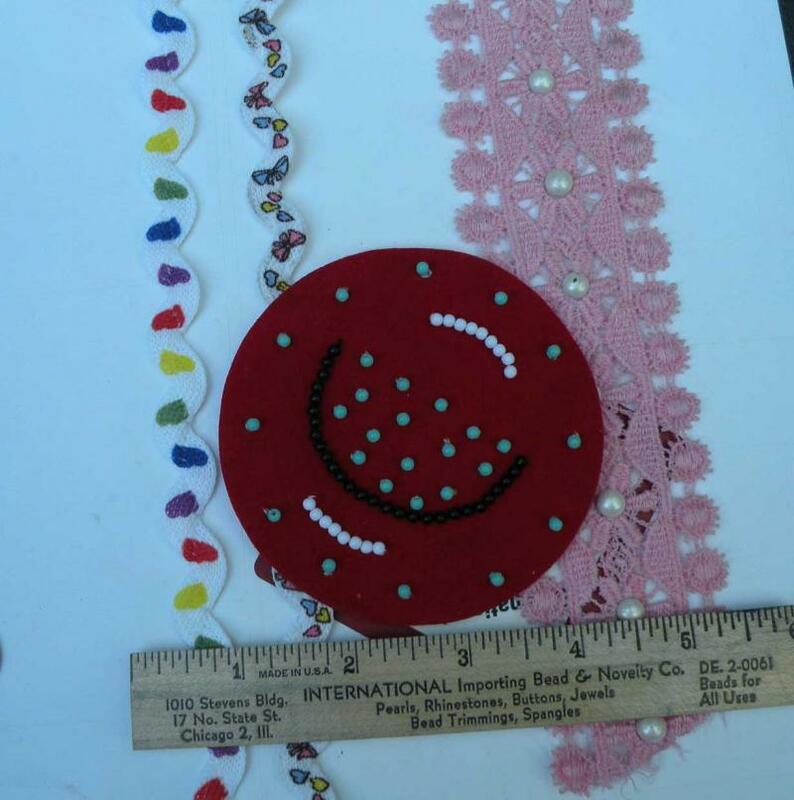 $3.00 plus shipping email to order. 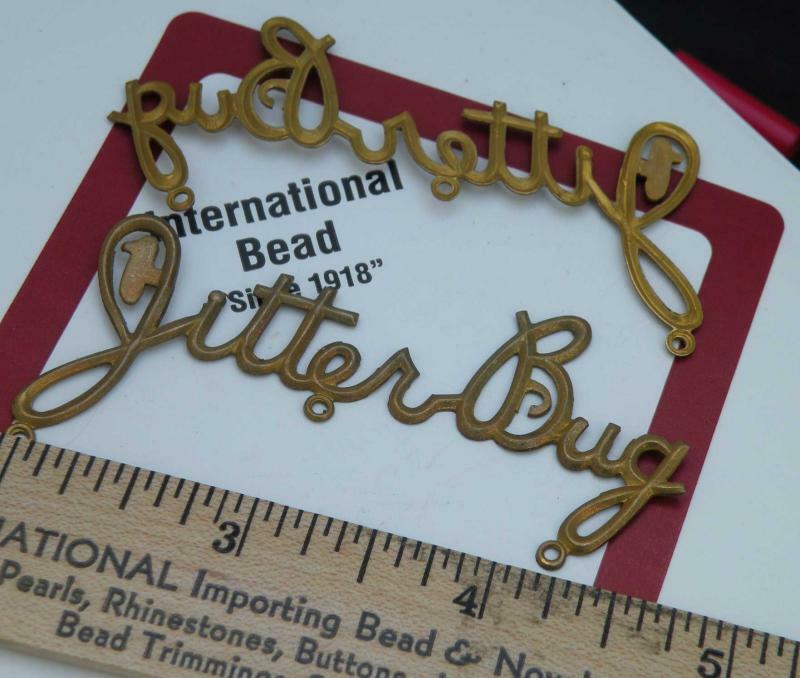 Fifties Raw Brass, Jitterbug. 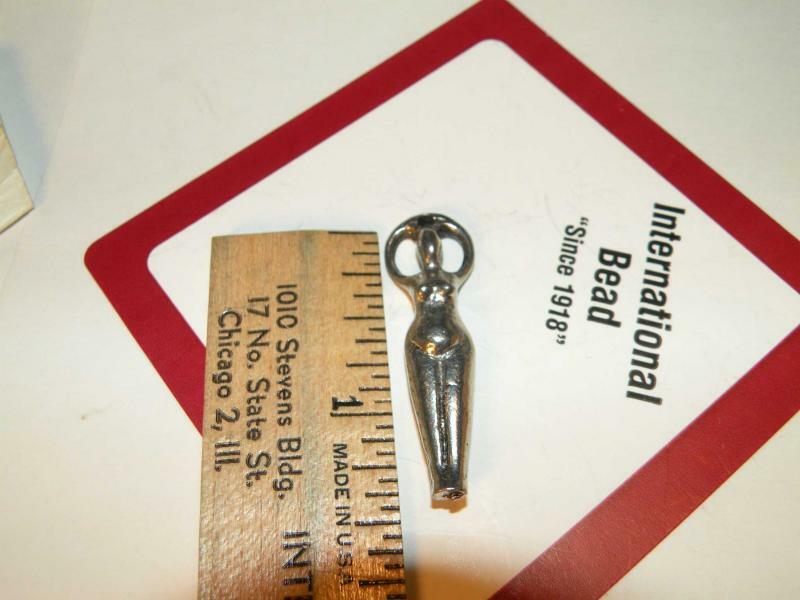 Measures 2 ¾ inches long and the J is 1 ¼ inches high. 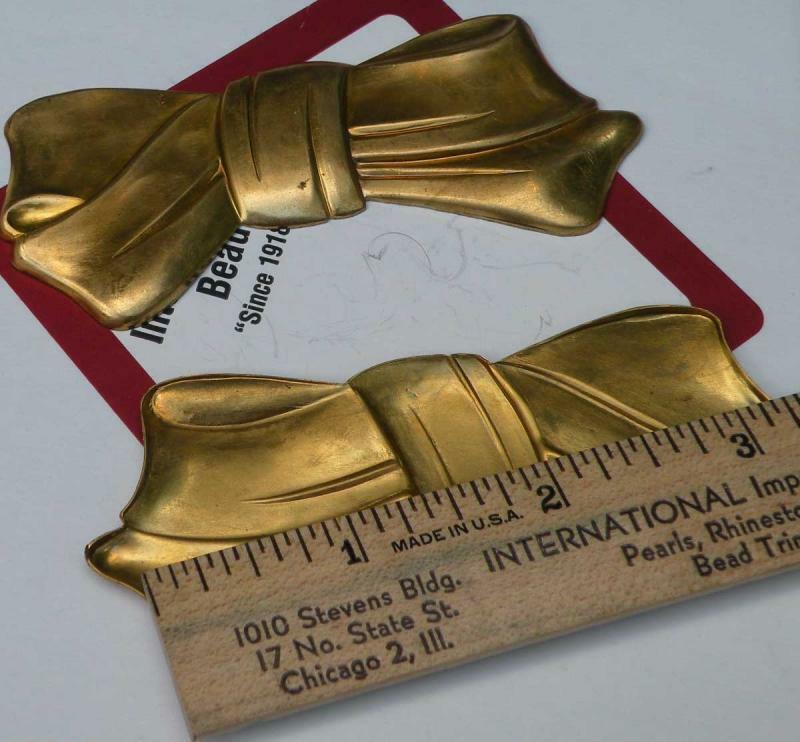 Thin brass bends easily. $1 each plus shipping. Rare, Limited. Parallelograms. Very cool. 5 colors from the 70’s pink, black, white, blue, and clear . As in the photo. ¾ inch on its side, ¼ inch thick. 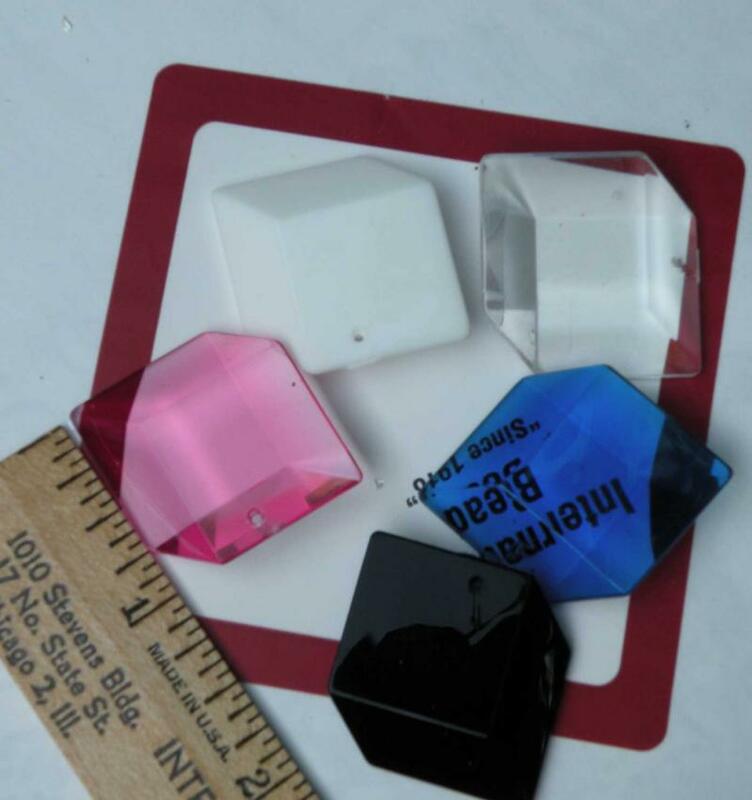 High Quality Acrylic, from Germany. 6 pieces, name your colors. $3. For 50 pieces randomly assorted the price is $18. email to order.